Why do some athletes and performing artists seem to be totally absorbed and unaffected by anything but their present performance while others choke? Learn to cope with distractions and become more grounded through the workshop on acceptance training. Johannes L. Hatfield is one of Norway’s leading experts on deliberate practice and performance psychology. He has wide experience as a musician (cello), pedagogue, and researcher. Johannes` main research is deliberate practice, self-regulated learning, and performance psychology. Currently Johannes is working on a research project that aims at developing virtual reality solutions as part of practice laboratory for musicians at The Academy of Music. Johannes holds multiple workshops, lectures, and talks for a wide selection of audiences. Johannes also closely collaborates and consults some of tomorrows most promising classical musicians, dancers, actors, athletes, and film directors in Norway. In addition to such workshops, Johannes frequently holds lectures, talks, and workshops for teachers, pedagogues, and the private sector. This interactive workshop will explore how Digital Mobile Devices can be used to encourage musical collaboration and nurture creative capacities in ways that can be adapted to different learning environments. Using apps that are available on smart phones and tablets, small groups of participants will work together to create, record and share songs. The goal of the workshop is for attendees to experience how participatory learning in real-time might enhance music learning opportunities, engage a wide variety of learners, foster critical thinking skills, and nurture creative abilities and musical understandings. A list of apps that participants will need to download will be made available prior to the workshop. Frank Heuser is Professor of Music Education at UCLA where he teaches courses in music education and supervises student teachers. 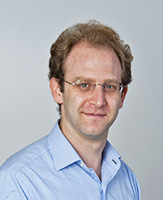 His research focuses on developing ways to improve music pedagogy. He has used electromyography to investigate tone commencement problems in brass players, developed strategies to improve pre-service music teacher education, and is currently applying the principles of information design to improve teaching materials employed in music instruction. He is a guest conductor and clinician for public school ensembles and has served on a variety of arts education committees for the State of California as well as on evaluation panels for the National Endowment for the Arts. Dr. Gena R. Greher is Professor, Coordinator of Music Education at the University of Massachusetts Lowell where she oversees undergraduate and graduate music education including the new Master of Music Education, Community Music Option. She was named the 2014-15 Donahue Endowed Professor of the Arts and is Education Director of the UMass Lowell String Project/Youth Orchestra. Most recently she worked with Jeanne Bamberger on a math/music module for the Thelonious Monk Institute’s Math Science Music Initiative. TaKeTiNa is a musical group process which enables you to become one with the rhythmic flow. Thinking subsides as your body takes over, and you might be surprised to find yourself blissfully immersed in complex polyrhythms with voice, steps, and claps. Any obstacles you face in this process are mirrors of hindering patterns in your life. Once transformed in rhythm, they will dissolve in your life as well. Katharina Loibner, born in Vienna in 1979, graduated from the University of Music and Performing Arts Vienna (mdw) as a piano teacher. Since 2003, when she encountered TaKeTiNa at the mdw, Ms Loibner has been determined to dedicate her professional life to this work. Currently, she conducts TaKeTiNa workshops as a certified Advanced TaKeTiNa rhythm teacher in Austria/Germany and implements TaKeTiNa in her piano teaching at the Music School of Linz, with amazing results. Since 2014 she has been traveling around the world (Austria, Germany, Switzerland, USA, Australia, New Zealand, Brazil, Argentina) to learn from the source and work together with the founder of TaKeTiNa, Reinhard Flatischler. 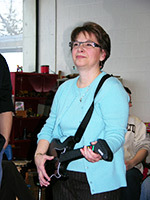 In this workshop, a practical repertoire of biomechanical tests and ergonomic solutions for the music teacher’s pedagogical tool-kit is demonstrated. Mobility tests from the Pragmatic Hand Evaluation(PHE) based on Wagner help to identify hidden limiting biomechanical and muscular factors, which should be addressed in training contexts when choosing instrument position and ergonomic equipment. Prof. Dr. med. Dipl. Mus. Horst Hildebrandt studied violin in Freiburg and London as well as medicine in Freiburg. Continuing education in sensori- and psychomotor therapy, Dispokinesis and pain therapy. Member of the Bundesjugendorchester and the Junge Deutsche Philharmonie. Professional activity as violinist in opera and radio broadcast orchestras. First violinist of the Hilaros-Quartet, the Ensemble Aisthesis, several orchestras and from 1988 of the Ensemble Aventure Freiburg. 25 years of teaching at music schools as well as lecturer at music universities and for orchestras. Head of the Music Physiology and Musicians` Medicine Sections at the Zurich and Basel Music Universities – main areas: health prevention, psycho-physiological training and research. Head of the Master of Advanced Studies program in Music Physiology. Founder and member of the leading committee of the Zürcher Zentrum Musikerhand and the Swiss University Centre for Music Physiology. Oliver Margulies, PhD, MA, MAS. BA and MA studies for violin with R. Zimansky and A. Oprean and viola with Hatto Beyerle. 2005 to 2007 member of the UBS Verbier Festival Orchestra and 2005 of the Lucerne Festival Academy. Freelance work as chamber musician and in Swiss orchestras. Since 2007, teacher at the Zurich Music School and Conservatory. 2008 certificate as Dispokinesis teacher. Counseling and group courses in Dispokinesis. 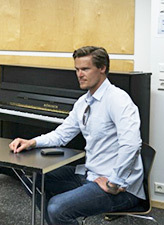 MAS in Music Physiology earned 2011 at the ZHdK. PhD in Scientific Music Education earned 2017 (joint PhD program between the Graz University of Performing Arts (KUG) and the ZHdK). Teacher for workshops in music physiology and lectureship at the Vorarlberg State Conservatory. 2009 Co-founder of the Zürcher Zentrum Musikerhand. From 2010, part-time assistant researcher in the Music Department of the ZHdK. In every situation that has a competitive character, whether there is a ranking or it’s about getting access to limited resources, we find that winners are different. The winner of a bicycle race can ride his bike like all the other, races down the track, can steer in curves, and breaks only if it’s really necessary. But in one case he’s different: he was faster than all the others! So if you want to win, or at least be outstanding, you have to be different! In the theoretical part of my workshop, I will provide a brief and (hopelessly incomplete but) very interesting overview over the scientific background of success and its relationship to being different. In the second part, we will transfer these ideas into practical situations. Born in 1977 in Klagenfurt, Austria, Klaus Rom studied Physical Education and Physics at the University of Graz (KFU). Since 2003, he has been doing research at the institute for sport science of the KFU, and teaching at both the university and in public schools. 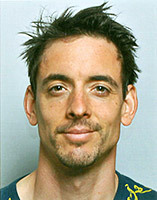 His scientific focus is on the theory of sports training. Being a schoolteacher and an experienced mountaineer and triathlete (Olympic distance and Ironman), he discovered a big gap between training theory and the practical work of trainers and athletes. Aside from his physical activities, Klaus Rom is an experienced saxophone and guitar player, father of three kids, husband, keeper of about 15 sheep and up to 10 chickens, and – guess what – never bored. In this workshop, we will present a pedagogical concept – combined with practical examples – which will support musicians to better integrate learned body techniques for injury prevention into daily practice with their instrument or voice. In addition, participants will have a chance to experience “guided reflection” during the session. Claudia Spahn, born in 1963, is a Professor for Musicians’ Medicine and the Director of the Freiburg Institute for Musicians’ Medicine at the Freiburg University of Music (www.fim.mh-freiburg.de). She studied medicine and music (majoring in recorder, minoring in piano) In 1992, she concluded her musical studies with a diploma as a music pedagogue. In 1999 she was certified as a specialist for Psychotherapeutic Medicine. Her M.D. was followed by post-doctoral work at the Medical School of the Albert-Ludwigs-Universität, Freiburg. At the FIM she is responsible for the instruction of the music students at the Freiburg University of Music and she is enrolled in the treatment of instrumentalists and singers. Her research areas are prevention for musicians, music performance anxiety and motion analysis with instrumentalists. 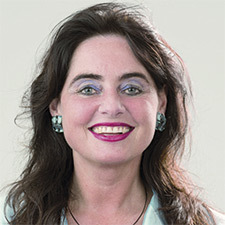 Since October 2017 she is vice-rector of the University of Music Freiburg. Anna Immerz is an academic assistant at the department for music education and at the Freiburg Institute for Musicians‘ Medicine (FIM), University of Music Freiburg. She studied music education, piano and german philology at the University of Music and Albert-Ludwigs-University Freiburg and graduated successfully with an educational state examination and a masters’s degree in piano. Currently Anna Immerz is working in a cooperative research project reviewing the training of music teachers (KoMuF). 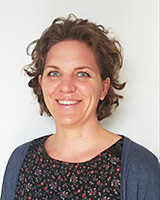 In connection to this project she is developing a programme to incorporate aspects of voice physiology and voice psychology in teacher training. In her doctoral thesis she is doing research on voice development in music teaching. Furthermore, she is active as répétiteuse and as choral conductor. This workshop allows performers and singers to focus on building their attentional skills using exercises of the Practice Methodology (PM). The PM toolkit enables the musician to ‘let go’ in the moment while performing, to be emotionally deeply engaged with music with full concentration, but also to take expressive risks and to deal with mistakes while performing. The PM saves musicians considerable practice time, and helps to reduce stage fright. László Stachó is a musicologist, psychologist, and musician working as Research Fellow and Senior Lecturer at the Liszt Academy of Music (Budapest), at the Faculty of Music of the University of Szeged, and as a regular guest lecturer at the Santa Cecilia Conservatoire (Rome). Dr Stachó’s academic activity involves the teaching of chamber music, music theory, and twentieth-century performing practice history, as well as recently introduced subjects in Hungary, such as the psychology of musical performance and Practice Methodology. He performs as a pianist and chamber musician and conducts Practice Methodology workshops and chamber music coaching sessions at international masterclasses. Understanding the role and function of internal representation – or the ‘Body Map’ that governs movement – is an essential part of training the complex movement patterns of performing artists and athletes. This workshop will address basic questions concerning the Body Map: What is it? How does it function? Why is it important for performers? It will continue with a series of demonstrations that invite participants to explore their own maps. Pianist Kathryn Woodard is an acclaimed interpreter of new music with numerous premieres to her credit including works by Ge Gan-ru with the Shanghai Quartet, Allen Otte, Huang Ruo, Paula Matthusen and many others. While completing her DMA degree at the University of Cincinnati College-Conservatory of Music, she trained as an instructor of Body Mapping with Barbara Conable. She regularly offers workshops for educators at music schools across the U.S. Woodard is a former student of HMTM where she studied with Gitti Pirner and Alexander Volkov.